This is an one hour program for a caregiver and their toddler to bond in an interactive and creative way. Each class, we incorporate every day life skills through play. This program is offered every day of the week from 10:00 am to 11:00am with daily themes. The class will be conducted with 30 minutes theme-of-the-day activity and 30 minutes of art activity. The class involves the participation of one caregiver and all materials are provided. Every child is welcome from 2-4 years old! This class is so much more than just hand puppets… let’s develop the young imaginative mind for speaking and listening skill! Help your little one get more from make-believe and harness their active creativity with this entertaining class. This class is perfect for building focus, enhancing communication skills, as well as to spark their imagination. Through playing a part, the child learns what it’s like to put themselves in another perspective, developing a sense of empathy while interacting with others to develop better social skills. 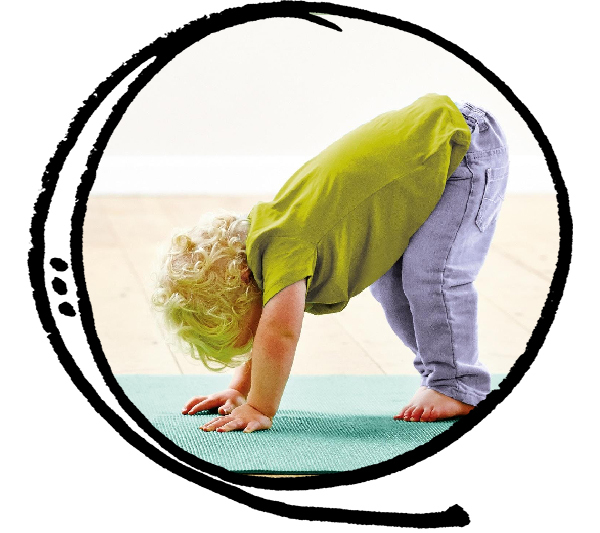 Fun and playful class where the caregivers and toddlers move through yoga postures. Age appropriate breathing, moving, chanting exercises followed by drawing, painting, and sculpting activities make a bonding session ever more creative. By practicing yoga, children can enhance their physical balance, coordination and develop finer focus and lengthen their capability to concentrate. Dedicated and intentional yoga practice also offer valuable experience to develop self-esteem and confidence. Make something yummy with your little one! This fun interactive class involves safe cooking methods, easy recipes, and an art activity. Leave with full bellies and inspired spirits. 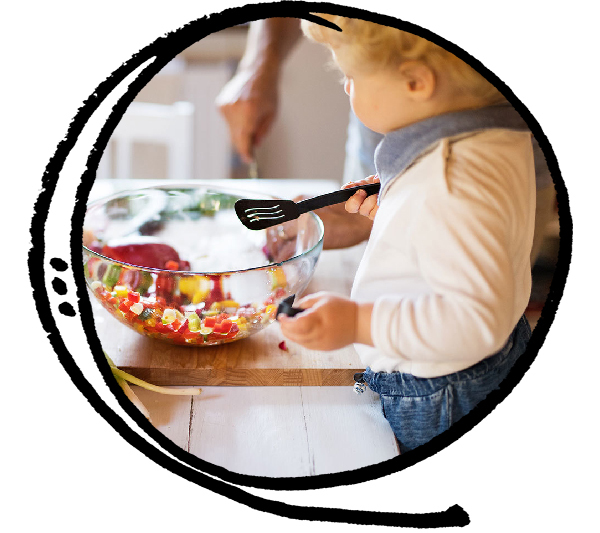 Cooking class is, more than anything else, a class for young children to develop a better fine motor skill by using different tools for different purposes. Using their hand to touch, mold, cut, the textile experience will enhance their hand-eye coordination. In the process of preparing food, they develop more interest in eating through a sense of achievement. Free-flowing creative games to boost your toddler’s learning and development! Let’s explore the world through music and imagination, with playful games and movements. The goal is to train a broader cognitive skill -especially pattern recognition in their auditory development. The musical experience is known to be helpful both in physical coordination, speech and memory. Stop to smell the roses! Discover what nature has to offer through this class. Watering, digging, harvesting to enlighten all of your child’s sensory learning. Come for this interactive class to experience nature through play and art. This class offers tactile experience through the textures of soil, seeds, flowers, and petals and in turn, enhances their hand-eye coordination skill. From gardening to harvesting, the child will learn patience, numeracy and literacy skills by measuring and counting. By learning about nature, the child builds a stronger sense of self in relation to their environment and surroundings.